Guided Bus Tour $75 Purchase Your Guided Bus Tour Tickets Here. 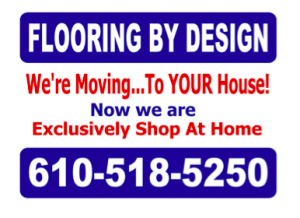 Turpin Design/Build offers to take you away for one weekend each summer from hectic schedules, work, and family demands and from every day cares and concerns. Just how do we do this? We have the privilege of taking you on our Water Garden Weekend Tour, and a privilege it truly is! Friends and family have generously offered to open their property so others may enjoy visiting and perhaps be inspired to try something new at their homes and in their gardens. It is easy to get caught up in the properties and of course, the wonderful good works of the Chester County food Bank but there are other reasons that you might like to spend the weekend with us. 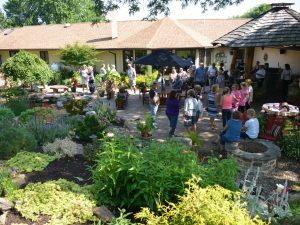 After spending Saturday touring, you can head over to the Turpin’s in Coatesville for a barbecue dinner, live and silent auction, raffles and music under the stars. All this is included in your ticket price so plan on spending Saturday with us and if you would like to continue touring; Sunday all the properties will once again be open for you to enjoy. 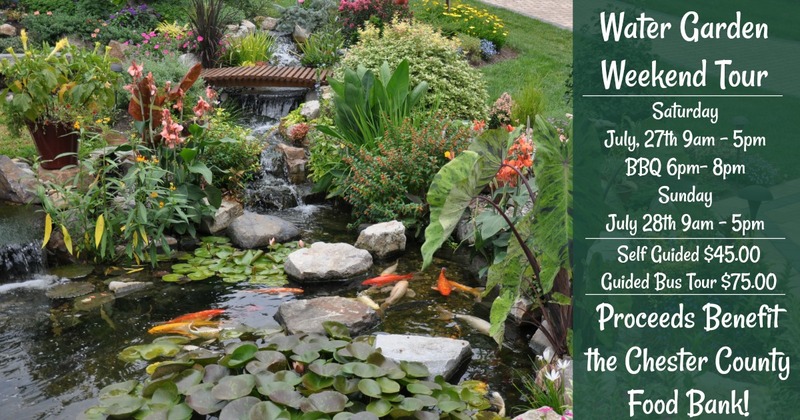 Join us as we tour 40 plus residential homes all of which have a pond or water feature. 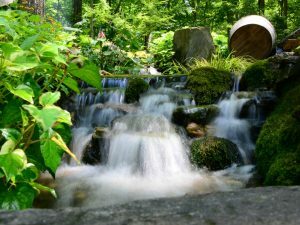 This tour gives you an eclectic advantage to see many types of water features and it also provides you the opportunity to see these features in endlessly different settings. Many of our homeowners’ properties reflect their personal tastes or take their cue from the style or age of their homes and all of the gardens on this tour include a water feature of some type. 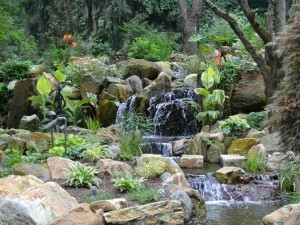 From Pondless Waterfalls that meander down a slope, and Ponds placed purposefully outside the primary view that can be enjoyed from inside looking out, to fountains features that welcome guests upon arrival, these tour stops are each unique in their own way. One homeowner has a Japanese inspired garden complete with a teahouse and a samurai sword hilt fire-pit! 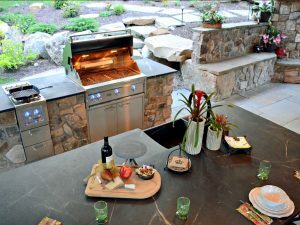 Outdoor kitchens of all sizes are another highlight enjoyed during this exploration. Convenient for homeowners who love to cook and equipped in many different ways; these vary from simple elegant stone barbecues to full kitchens with multiple cooking appliances, wet bars and foot peddle operated faucets. There is no end to the possibilities today! 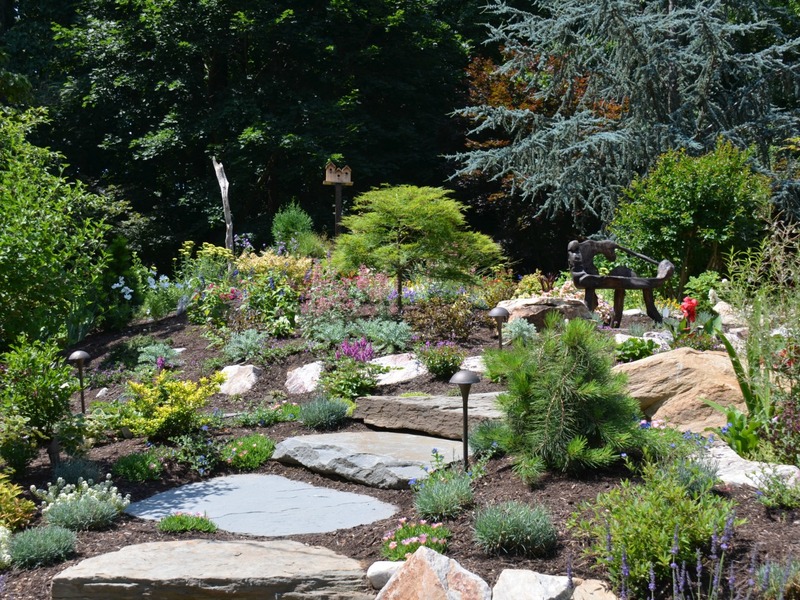 Check out the rainbow slate patio in Downingtown or the floating patio in Berwyn, these gems will all be on display during our Water Garden Weekend. 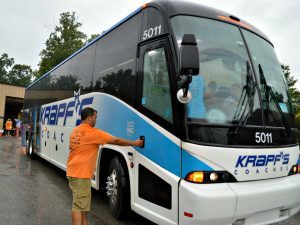 Travel options allow you to start your weekend Saturday on our air-conditioned bus or choose to drive yourself through a self-guided route; either way, we promise you a wonderful weekend full of serene sights, sounds and the sweet smells of summer. On Sunday the properties will be open again for you to continue your adventure. 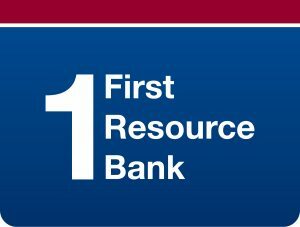 Those who choose the bus option on Saturday may continue on Sunday with the self-guided tour to see more locations the bus did not get to on Saturday. From Pondless Waterfalls that meander down a slope, and Ponds placed purposefully outside the primary view that can be enjoyed from inside looking out, to fountains features that welcome guests upon arrival, these tour stops are each unique in their own way. One homeowner has a Japanese inspired garden complete with a teahouse and a samurai sword hilt fire-pit! This tour also has a heart, to date these tours have raised more than $147,000 for the Chester County Food Bank! So not only can you be inspired and entertained for the weekend; please know that you are supporting a wonderful organization. As the food bank has taught us “hunger lives closer than you think”. Come join the fun; we would love to see you on the last weekend of July!!! It is that time of year again; time to think about moonlit skies and stunning water features. Oh, how we love this Evening Water Garden Tour! 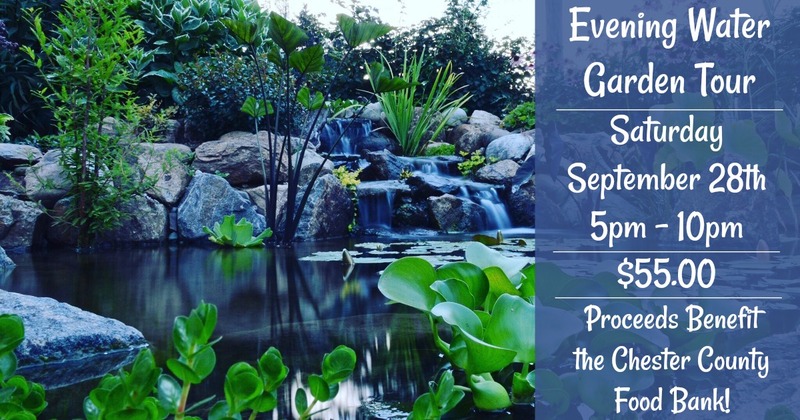 Join us on Saturday, September 28th, 2019 for our magical Evening Water Garden Tour! Just writing about this tour makes us happy. Could it be the soft autumn evening and the moonlight shining on the water? Maybe, but for whatever reason, this tour is not only a showstopper, it’s a heck of a lot of fun! 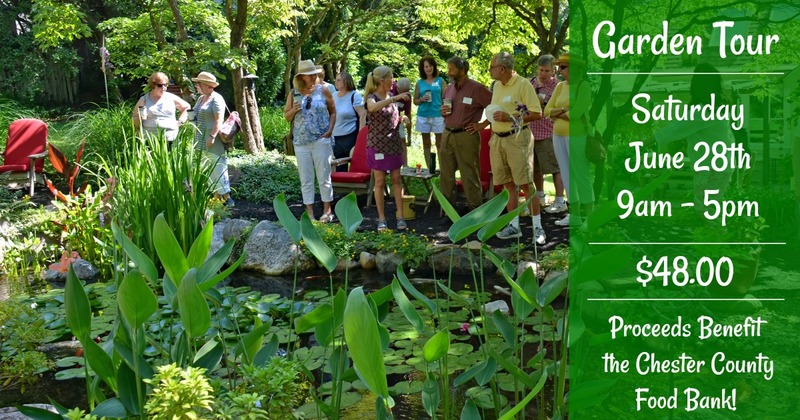 On this Evening Water Garden Tour you will be transported via bus from property to spectacular property as we enjoy an alfresco progressive dinner and dessert. Attending this tour you will experience not only spectacular water features but you will also be captivated by some of the latest in landscape lighting and outdoor sound systems. 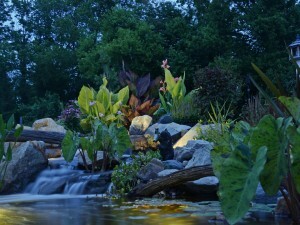 The moon and the stars will not be the only thing lighting up our night for us on this Evening Water Garden Tour. Photos are encouraged as you wander around ponds, pondless waterfalls, fountains and lush landscaping all with the added benefit of outdoor lighting and underwater lights too. Properties are as varied as homeowners and that is what makes these tours a feast for the eyes. No two properties are the same but all of the property owners share the same love of the outdoor lifestyle and that includes the wonderful addition of water and lighting on their property. Mark your calendars and plan on joining us for this special tour. Bring your friends and celebrate the opportunity to enjoy an evening of fun, food, friendship and a chance to be inspired by some of our favorite places to visit.